EXCELLENT SIGNAGE EXPOSURE. Located at the prime street of Los Angeles Chinatown - Broadway. 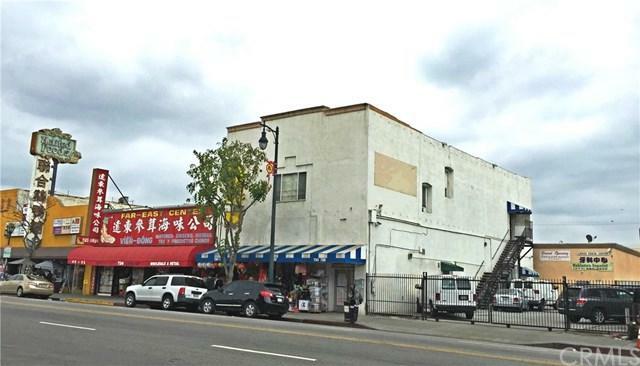 This Desirable 2 stories mixed-use building has Storefront facing Far East Plaza, HSBC bank, Wing Hop Fung and restaurants. Close distance to Goldline Chinatown Station. Easy access to Freeway 101 and 110. LAC2 Zoning with unlimited combination of use for Retail, Commercial, Office, Residential. Perfect for owner self-use with rental income from tenants. Currently 100% leased with month to month contract with upside potential on the rent. Please do not contact / disturb occupants.